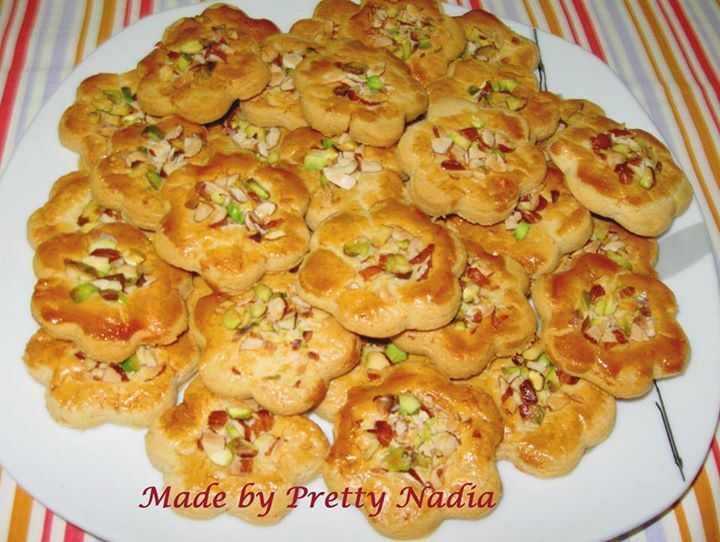 Let make perfect baked Vanilla Biscuits with this easy recipe. Great taste to serve with tea. Also try to bake Chocolate Chip Cookies and Delicious Cake Rusk. Sieve flour & baking powder .Mix salt & keep aside. In another bowl beat butter & sugar till sugar incorporates very well. Add egg & vanilla essence beat again for 2,3 minutes. Now leave the beater. Mix flour very gently with your hands & make a dough. Do not over rub otherwise your biscuits would become hard. Keep this dough in fridge for 30 minutes. Now roll the dough cut with the cutter, place biscuits in baking tray, do egg wash, sprinkle nuts & bake for 18 to 20 minutes at 170’C. If you feel your dough is hard you can add 2 to 3 tbsp of milk & if you feel your dough is sticky you can add 1 to 2 tbsp of flour. Your dough should be smooth.